It seems odd that in the nearly 50 years since Martin Luther King Jr was assassinated there hasn’t really been a major movie about his life. This movie couldn’t have come along at a better time. In this post-civil rights movement society much progress has been made. In most areas of the country racism feels like a distant memory. And the thought of things like Black people having to drink from separate water fountains or sit in the back of the bus feels too ridiculous to have been true even if it was actually once a reality. But now there are things you hear happening around the country that make you wonder how much progress this country has really made. Racism will always exists, it’s sort of a reality of life, unfortunately, but those people who choose to be like that are obviously less than human themselves. Having said that, “Selma” does a terrific job showcasing an important moment in American history. In a way, “Selma,” especially on paper, is every bit as much an “Oscar bait” film as “Unbroken” is, though with a much more relevant story to today’s current political and social climate. Just turn on the news and you’ll see that while so much progress has been made since Dr. King made his impact on this country there is still plenty of work to do. Things were different back in the 1960s when segregation in the south was at its peak. Reverend Martin Luther King Jr. was the voice of the African American people and believed in civil disobedience. Actor David Oyelowo plays him with confidence (I mean what serious shoes to fill right?) and he instantly takes control of the screen. “Selma” follows King right after accepting his Nobel Peace Prize (he had delivered his famous “I have a dream” speech the year before) where he organizes a series of peaceful marches in Alabama to help Black people win the constitutional right to vote. Director Ava DuVernay, having rather diversified industry experience in journalism, film marketing, public relations, and filmmaking, has made a rather stunning film. Working from a script from screenwriter Paul Webb, DuVernay has let the important story elements do most of the heavy lifting. There’s nothing particularly distinct about her directorial style and the narrative takes a rather standard approach, but the proceedings are ultimately rather moving. We follow King as he organizes his group into peaceful marches that would consist of a 54 mile walk from Selma, AL to the capital of Montgomery. Their first attempt ends in a rather disturbing situation in which the peaceful protesters are met with violent opposition leading to basically the innocent death of a young man. King is also in constant conversation with Lyndon B. Johnson (Tom Wilkinson) who many have criticized for his negative portrayal. Johnson’s main concern at the time, according to the film, was the country’s poverty problem. Johnson apparently made no opposition to King’s group though I never found Johnson to be portrayed in such a way. After all, this being a narrative film and not a documentary certainly liberties are always taken. There needs to be conflict somewhere though by the end of the film Johnson feels redeemed anyways. 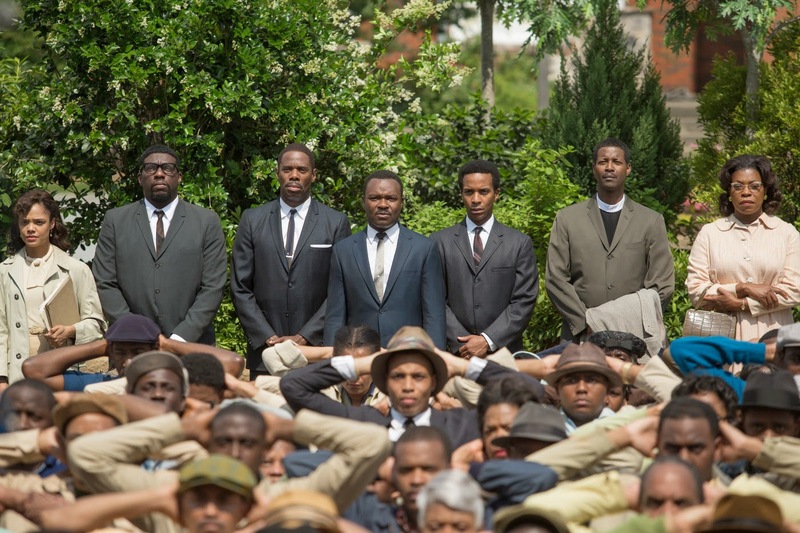 Trailer for Selma on TrailerAddict.